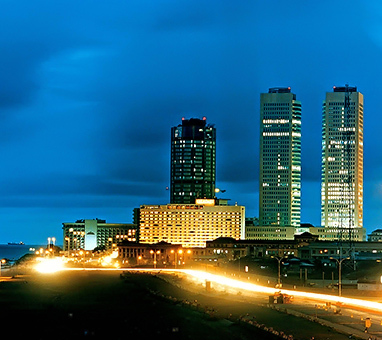 The name “Colombo”, first introduced by the Portuguese in 1505, is believed to be derived from the classical Sinhalese name Kolon thota, meaning “port on the river Kelani”. 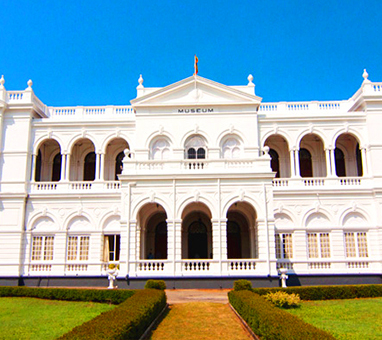 Another belief is that the name is derived from the Sinhalese name Kola-amba-thotawhich means “Harbour with leafy mango trees” The author of the oldest Sinhalese grammar, Sidatsangarava, written in the 13th century wrote about a category of words that exclusively belonged to early Sinhalese. It lists naramba (to see) andkolamba (ford or harbour) as belonging to an indigenous source. 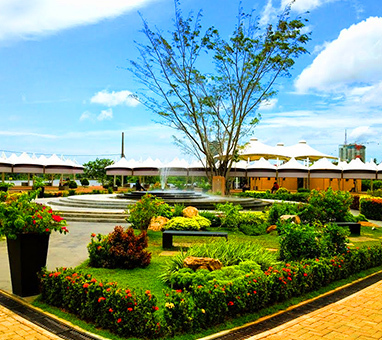 Kolamba may also be the source of the name of the commercial capital Colombo.